* This program shows a Mqo model. 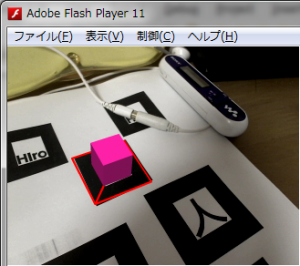 This sketch shows MQO-model above “Hiro” marker. MQO library is KGL by kei-san. The changed parts are below. setup – MQO loader codes. draw – MQO drawing codes. The eclipse project is　MqoModel-20120326.zip . The project requires external libraries, JMF ,JOGL, NyARToolkit version 4.x. Please set up these libraries. 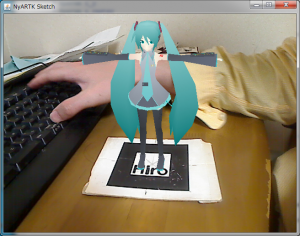 viewport3d.x = -4; // 4pix ?? ?